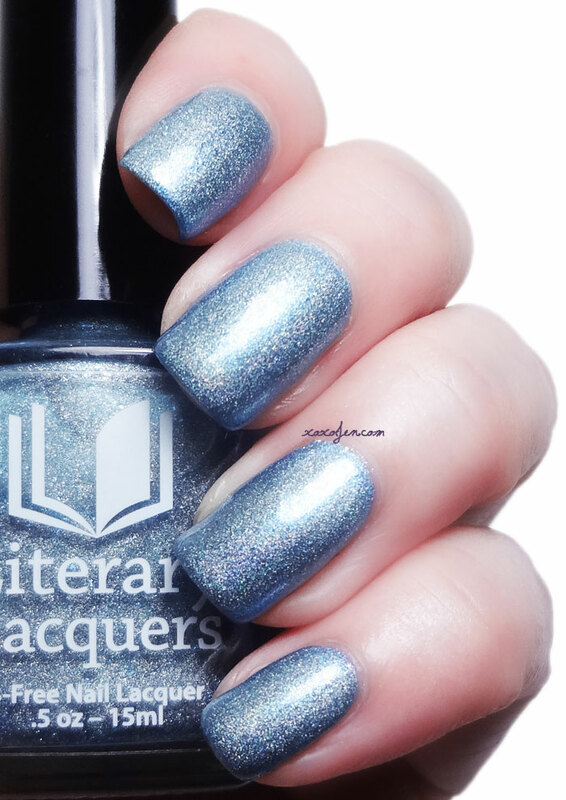 The Magic and Mysteries Collection from Literary Lacquers is appropriately named by way of Amy's inspirations and well, take a look. Magical and Mysterious, yes? Each time Amy sends a collection to me to review, I think, "Ok, this this is the one she won't be able to top!" but then she proves me wrong. Each and every time. The descriptions are provided by Amy and I will add my notes after each. I wore two coats with topcoat unless otherwise noted, and the formula on all of these is top notch as always. This one is so sparkly and wonderful that I think even my camera was starstruck! One coat of this would also make a great topper for your favorite base. 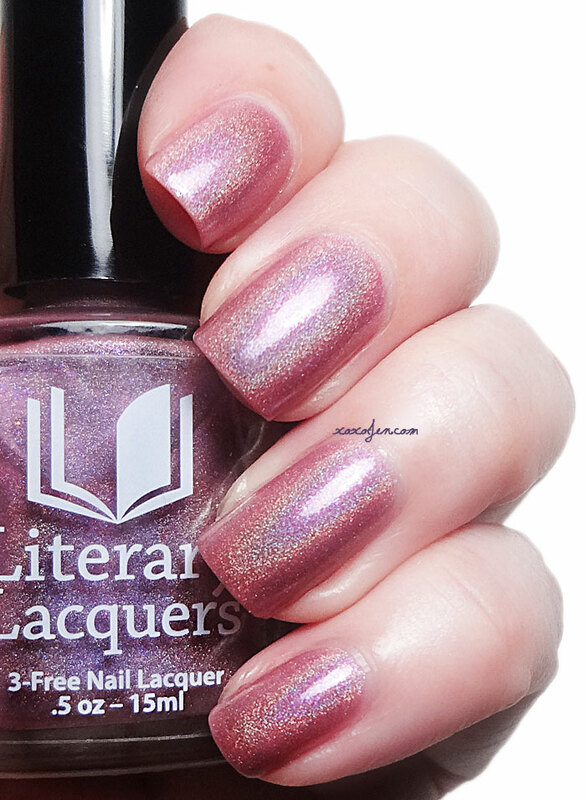 My eyes see a beautiful rosy mauve with a brilliantly lit holo rainbow and heaps and heaps of purple shimmery goodness inside. Magical! An iced slate blue that sometimes looks darker and sometimes looks almost silver. The holo is subtle in most lighting but jumps off the nail in sun. I adore the base color in this, it reminds me of my first dress suit that my mom tailor made for me. I chose fabric in this shade for the jacket lining and skirt. I wore that suit every chance I had until it just didn't fit any more. 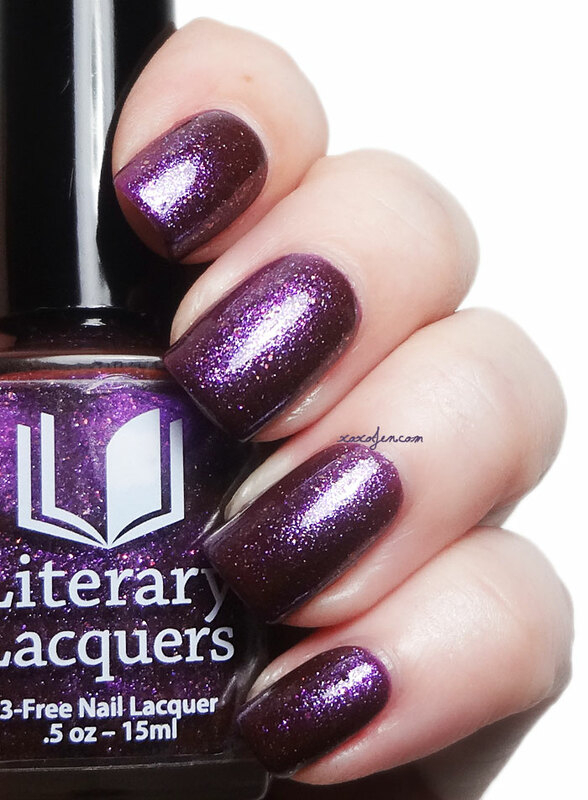 And oh how I wish I'd had this polish to go with it! It's absolutely stunning - up close to the light the flakies look a greenish tint and further away they take on a purpley hue. I found the polish to be a bit sheer so I wore three coats for the photos. Where did this polish come from? I mean ... it's out of this world! I wasn't expecting that from the bottle but when the brush hit my nail I was wowed! This is my favorite from the collection. It looks as if it is lit from within. So glowy and mysterious. Blooooooooooooooooo! 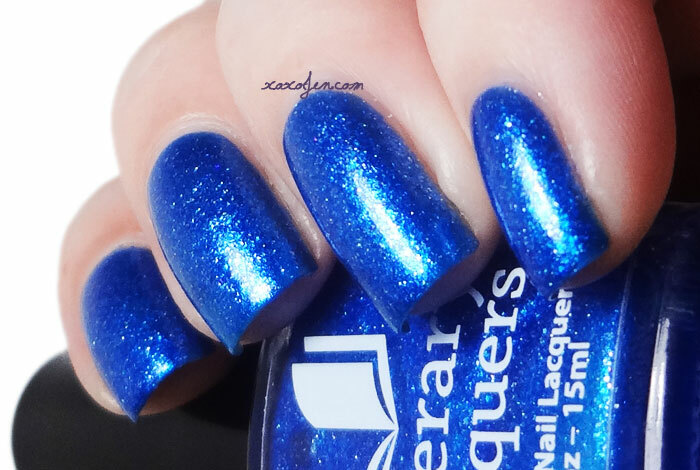 Bright, vivid, beautiful blue that sparkles and shimmers. I just love glass fleck polishes. It's been such a long while since we've seen this finish in the nail world. Perhaps they will start trending again? That'd be awesome wouldn't it? 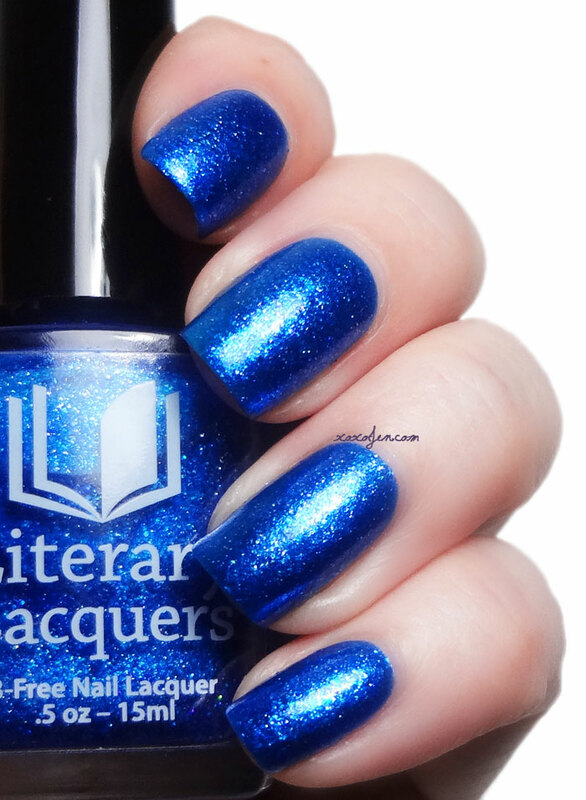 What better way to make a comeback than with a beautiful blue from Literary Lacquers! 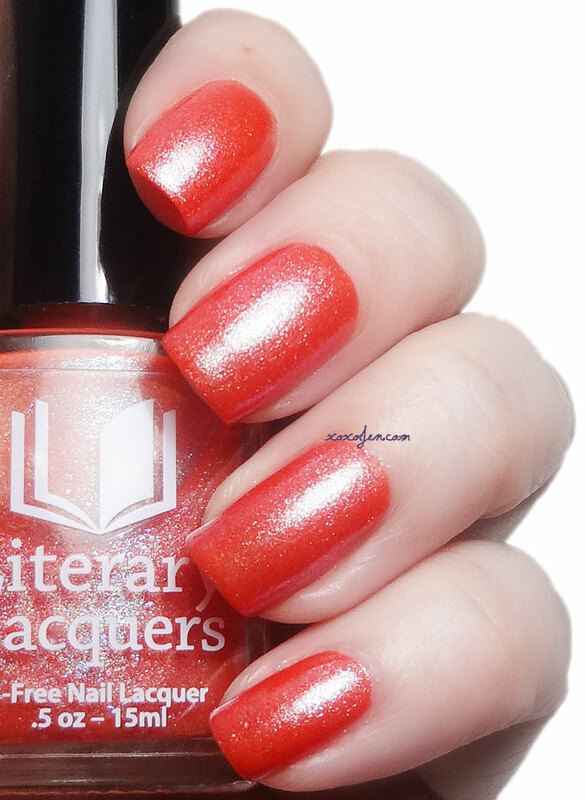 The perfect polish for summer pool parties and picnics. 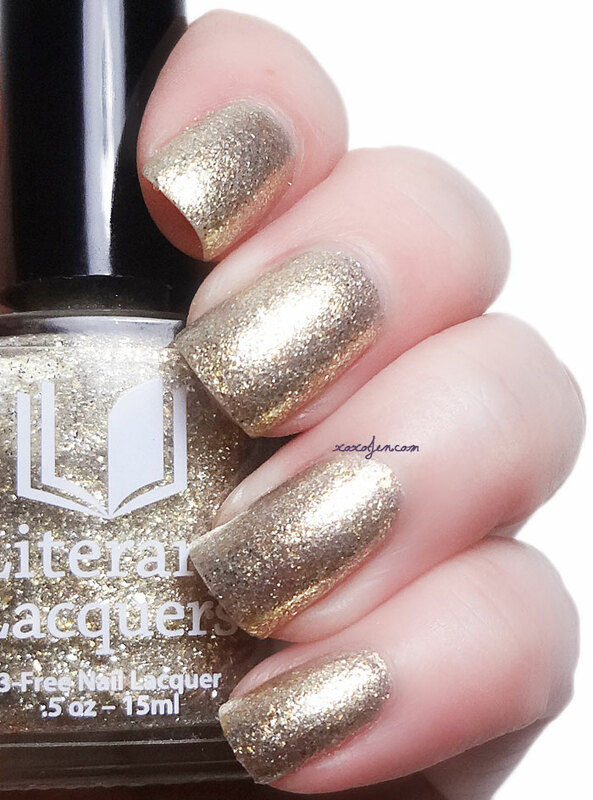 Thousands of tiny golden mirrors snitches reflecting the light as it dances across the nail. 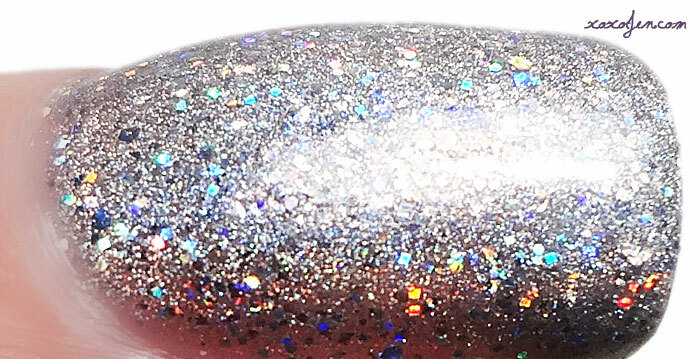 Your nails will not go unnoticed while wearing such a dazzling polish! 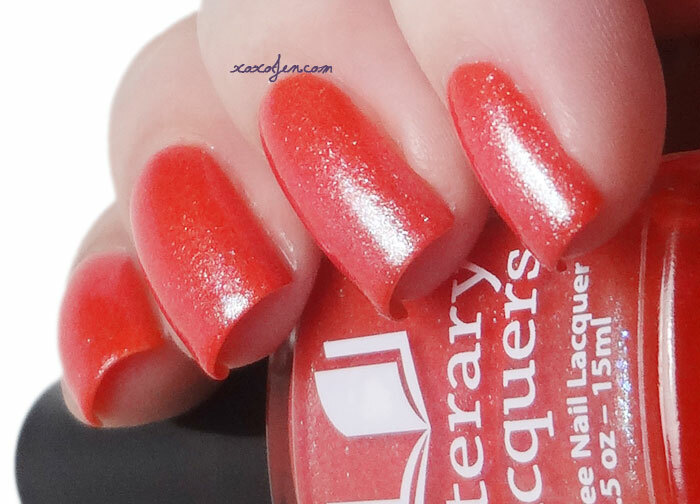 I like the versatility of matte polishes but, in my haste, I topcoated it before I thought to take a photo. I like it that way best though; it looks so squishy and jelly like! 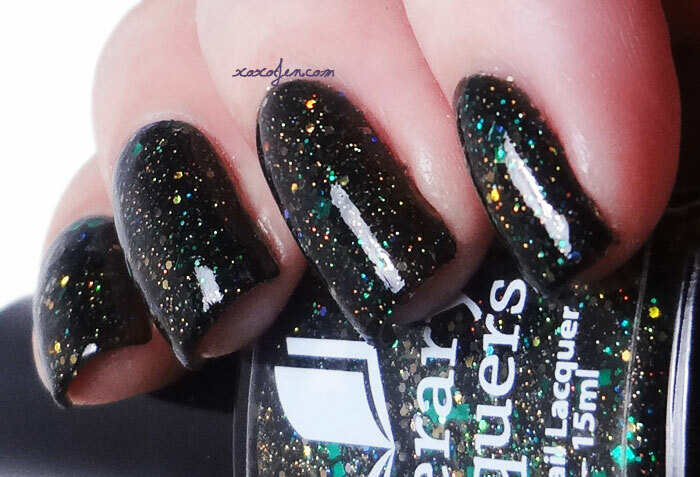 While I was doing swatches, I tried this as a topper for Felix Felicis and with just one coat it took on a really dark greenish cast and the golden microglitter underneath added a certain depth! If you get them both, you should try it! 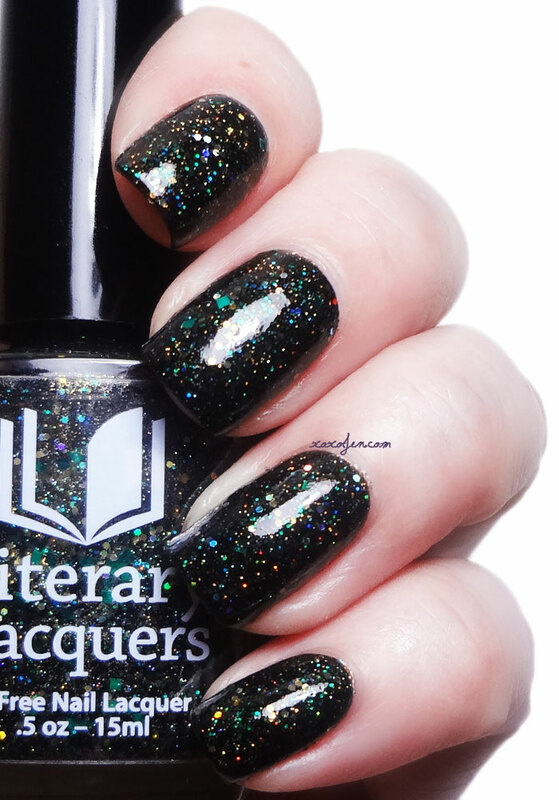 The Magic and Mysteries Collection Launches on Monday March 16 at 1pm Central time at the Literary Lacquers shop. :D awesome choice Manna! I love that one too! 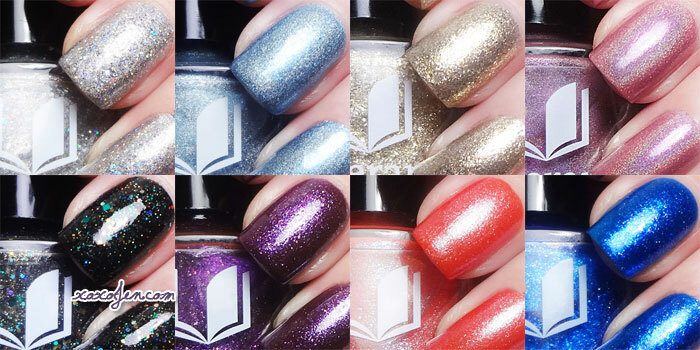 I am absolutely awestruck by this collection, especially the Octarine, how do i go about ordering the set of eight colours in its entirety.